Week 1 for the 2019 Alliance of the American Football season is no more. Although an average of nearly 3 million viewers tuned in to watch the first two games on Saturday night, there are two more games now to keep the parties going. Memphis Express on Birmingham Iron at 4 pm on CBS Sports Network. ET. That was followed by Salt Lake City Stallions at Arizona Hotshots at 8 p.m. on the NFL Network. 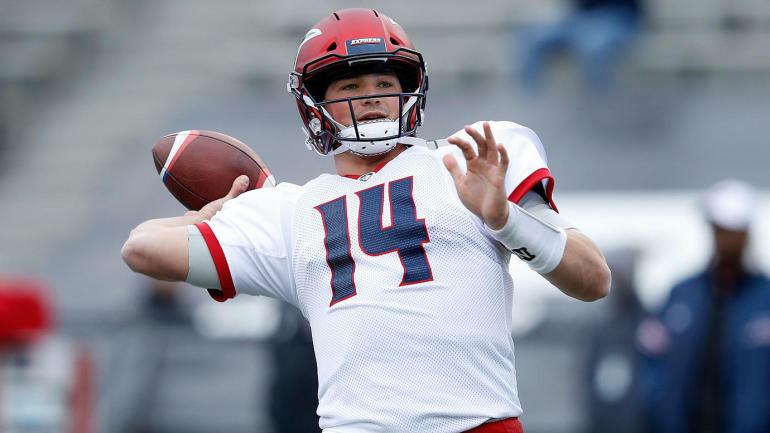 Some of the names on tap for today include the Iron runs back Trent Richardson, Express quarterback Christian Hackenberg and Hotshots coach Rick Neuheisel. While the first round of AAF games is all kind of fun, we have not seen an overtime period yet. Can we get one on Sunday? Stay tuned to CBS Sports throughout the afternoon and evening as we update this post to the latest and greatest highlights, scores and storylines as they grow. It's supposed to be The return of Richardson, but right now former Cleveland Browns and Indianapolis Colts are running back to a slow start with eight bearers for 17 yards through the first half. At face value, it looks like a terrific crowd like his short-term career in the NFL; However, there are several factors to consider here. He does not get great help from his offensive line – usually the last unit together when you have a short time to build a team – and his quarterback, Luis Perez, has knocked him down once on the flat. Like the defensive struggle between San Antonio and San Diego, Memphis-Birmingham seems to be fighting the rock. Iron lead 9-0 after a half and tip-drill blocking Express quarterback Christian Hackenberg, who struggled to find any parity in his career following his breakout first season at Penn State. In the quarterback of the Birmingham quarterback, Luis Perez looked ahead of a key third-down throw. Perez was almost a professional bowler when he was young, and we will have a feature on him later in a week.